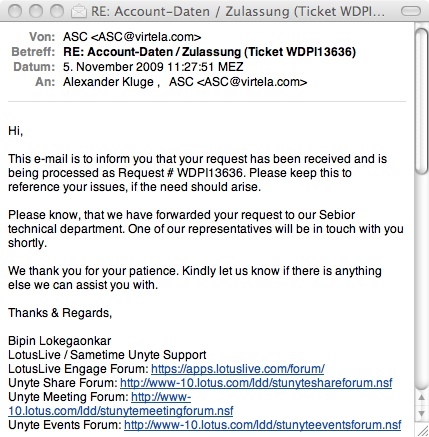 Oha, it´s the LotusLive support, answering in english. This was 11:27 local time. Still there is no answer from what they call the “Sebior support”.